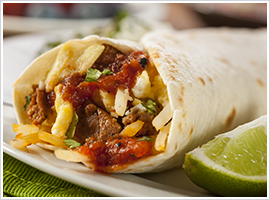 Choice of any breakfast burrito smothered in green chile and topped with lettuce, tomato and cheese. 2 Eggs, Beans, Potatoes & Choice of 1 Meat. Bacon, Ham, Sausage or Chorizo. Smothered in our home made green chile. Served with 2 flour tortillas. Choice of any lunch burrito smothered in green chile and topped with lettuce, tomato and cheese. 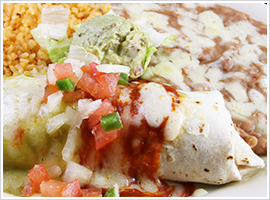 Choice of any lunch burrito smothered in green chile, cheese, lettuce and tomato, served with sides of rice and beans. 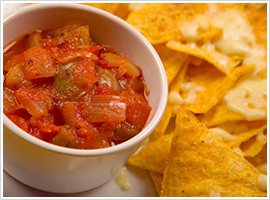 Corn chips, beans & choice of ground beef or chicken covered w/lettuce, tomato & cheese served w/sides of sour cream & salsa. 1 ground beef, 1 bean & 1 chicken taco made w/soft corn tortillas and topped with lettuce, tomato & cheese and served with rice and beans. 3 enchiladas smothered in red or green chile served with rice, beans, lettuce and tomato. 3 cheese enchiladas smothered in red or green chile served with rice, beans, lettuce and tomato. 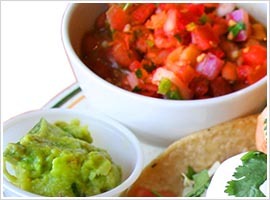 2 Soft corn tortilla tacos served with rice and beans and choice of salsa or pico de gallo. 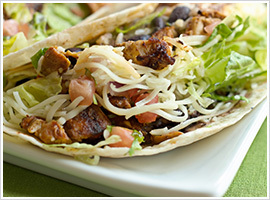 Lightly fried pork smothered in green chile & served w/2 flour tortillas, rice and beans. 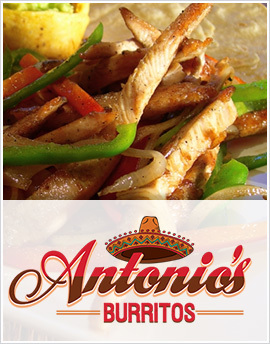 Steak or chicken, grilled onions and bell peppers served w/2 flour tortillas, rice and beans. 3 red or green tamales smothered in green chile and served with rice and beans. 1 doz. Corn tortillas & pico de gallo. Layers of eggs, cheese & corn tortillas. Choice of 1 breakfast meat and smothered in green chile.